Maybe it was hearing this story on NPR’s “Fresh Air” last week, but I’ve had “America’s Test Kitchen” on the brain and wanted to test drive one of their recipes. 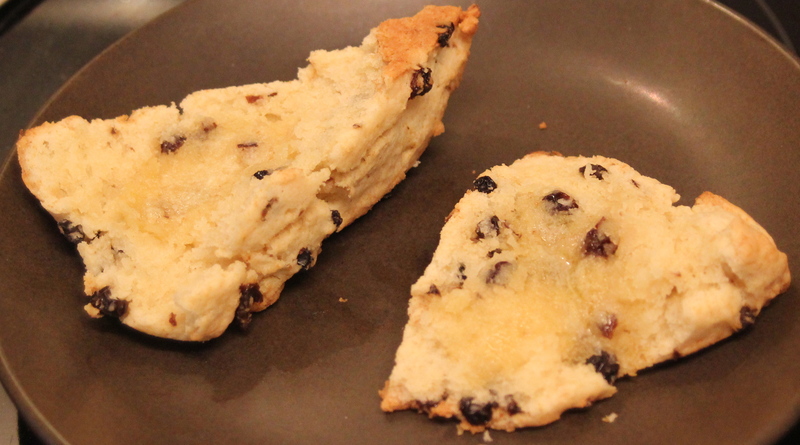 Their cream scone with currants recipe proved to be ridiculously amazing and even better than the Epicurious recipe that has been my go-to scone recipe for the past year. Scone agnostics need to check this out. The secret ingredient? Cream. I know. It’s not very British. But tasting is believing! 1. Adjust an oven rack to the middle position and heat the oven to 450 degrees. Pulse the flour, sugar, baking powder, and salt together in a food processor to combine, about 6 pulses. Scatter the butter evenly over the top and pulse until the mixture resembles coarse cornmeal with a few slightly larger butter lumps, about 12 pulses. 2. Add the currants and quickly pulse once to combine. Transfer the dough to a large bowl. Stir in the cream with a rubber spatula until the dough begins to form, about 30 seconds. 3. Turn the dough and any floury bits out onto a floured counter and knead until it forms a rough, slightly sticky ball, 5 to 10 seconds. Press the dough into a 9-inch pan. Unmold the dough and cut into 8 wedges. Place the wedges on an ungreased baking sheet. 4. 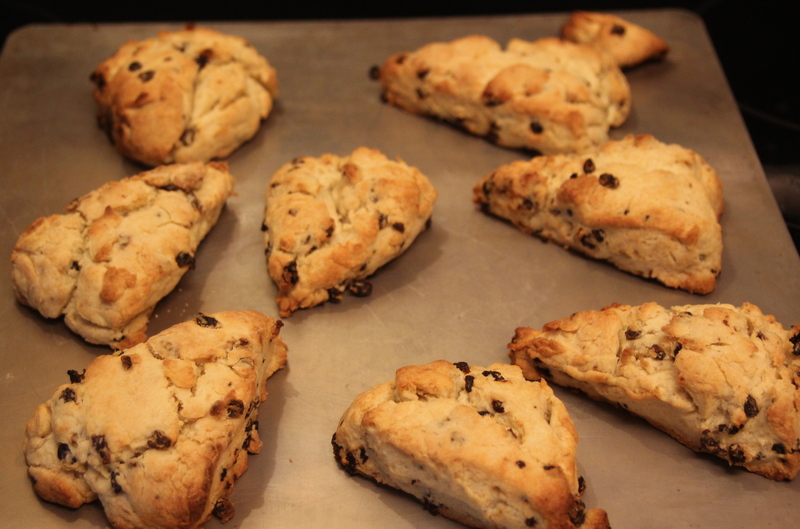 Bake until the scone tops are light brown, 12 to 15 minutes. Cool on a wire rack for at least 10 minutes. Serve warm or at room temperature.